I used Mac computer but I just installed windows 7 to my Mac. Now I am missing Mac bar so much because I am used to it. Is there any method by which I can have a Mac bar for my windows? Or any other method by which I can get the Mac bar? Re: Where to get and how to download Mac Bar for windows 7? Unfortunately there is no free software or other company which provides you Mac bar but none other than the Object bar does. But it is a Paid programmed. So you will have to pay for it. But it is free to try. First try if you like it than you should go for it. It is extremely useful app which provides you customization of Menu bar like thing in your desktop. Ranked 27 by cnet and also it’s a software worth to buy. Hello my friend, I am giving you the download link which i retrieved from my downloads,it is totally free. link: http://www.bigspeedpro.com/mirror2/l...ck_1.0-X86.exe it wil give you the complete feel of Mac OS.Download this pack and install it on your windows OS.I am using it for a long time and it is not giving any problem. ALL THE BEST. Mac bar is not available as separately like other applications. 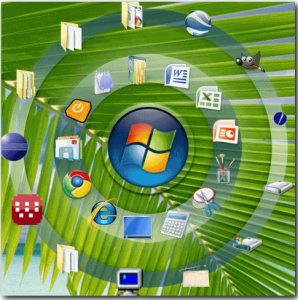 There are few free software which can give you Mac bar in Windows 7. The mac bar tool is the application provided by apple just for the mac user. There is no such application such as mac bar for the windows. But there are some software that can give you the feel of mac bar. Display currently running applications, and your shortcuts. Change appearance of icons and background using thousands of free skins and icons. Can be set to auto-hide, and then pop up on mouse over. You can drag and drop your files, folders, and shortcuts onto Circle Dock. Volume bar is sliding down instead of going up.